Hiru TV is a new TV channel from Sri Lanka by Asia Broadcasting Corporation (Pvt) Ltd. Hiru TV launches Sri Lanka’s first and only HD enabled stereo digital television revolution. Fused with its potent combination of quality & clarity, Hiru TV’s programming line up is due to take the Sri Lankan television audience by storm. 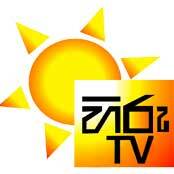 With its vast range of local as well as foreign programming content.